Rustic and vintage-themed weddings continue to be extremely popular. 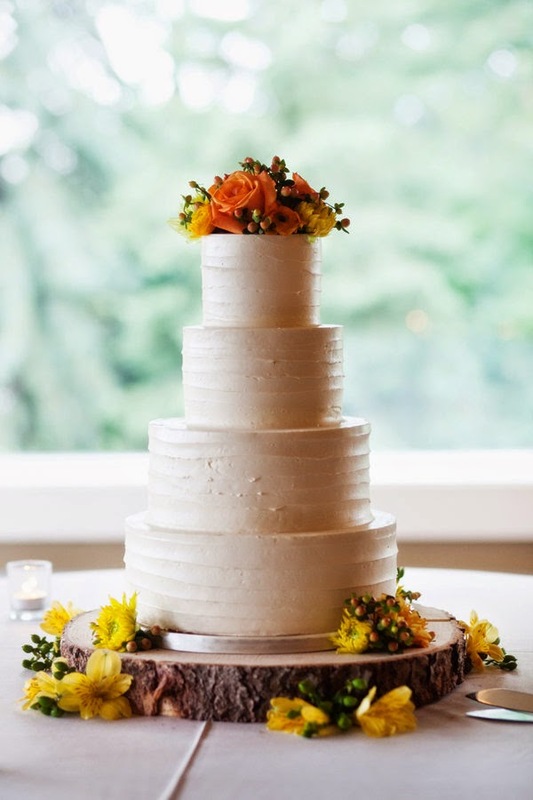 For a rustic ceremony, an outdoor or barn setting is ideal. 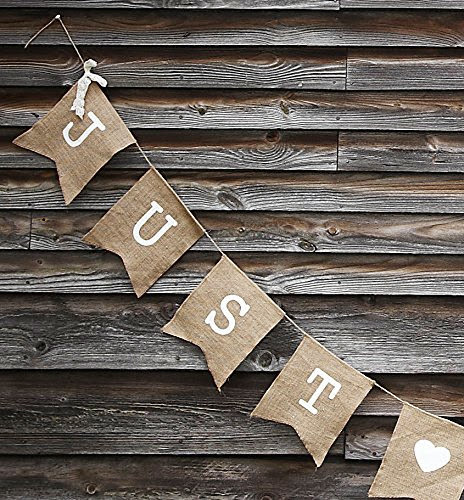 From the setting to the food and decor, there are so many ways to give your wedding a rustic feel. White linens topped with burlap table runners set the tone for a country wedding. Though it can still look quite elegant, as you can see above. 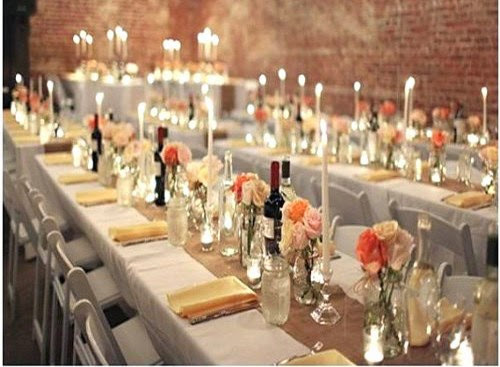 Pair burlap runners with long tapered candles and delicate flower arrangements to keep the look formal. If you'd rather go for a casual rustic wedding, loose the candlesticks, and decorate your tables with these birch bark tealight candle holders. Of course for fall, you incorporate pumpkins and fall flowers. Pictured Above: The Rustic Chic Boutique Burlap Table Runner, 102" by 12"
These wood slice rounds are so perfect for rustic outdoor entertaining. 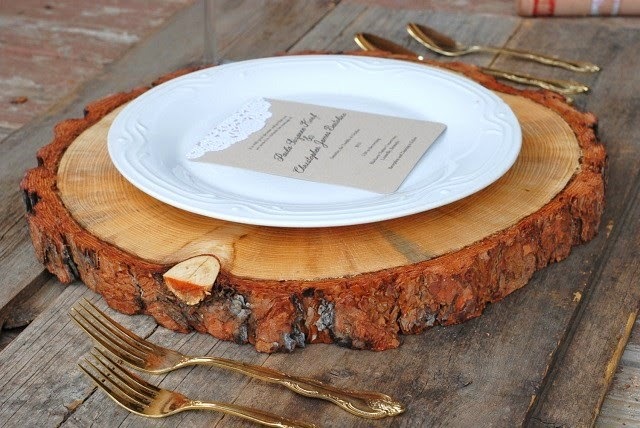 For a rustic wedding, you can use one as a cake base or dessert platter, or use the thinner round as a chargers to create a rustic place setting. Whether you serve them in mini or traditional size, pie is a fun dessert for a rustic wedding or rehearsal dinner. 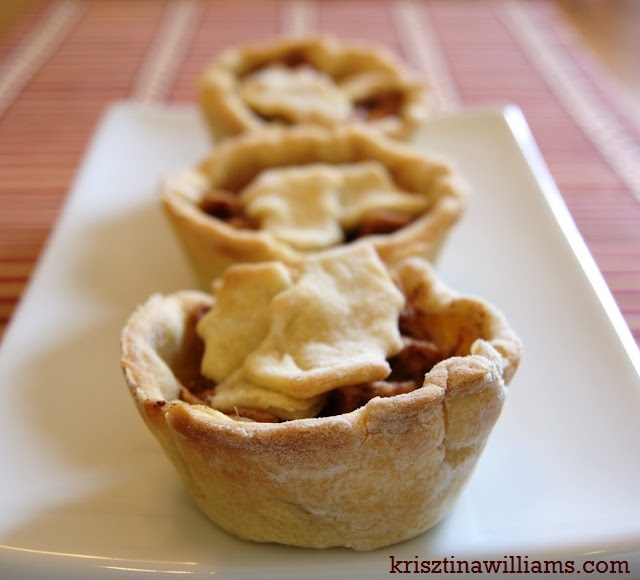 Of course the mini pies are the easiest to serve. If you're planning a rustic wedding for the fall, incorporate festive treats like caramel apples and cider. Pairing white lace with burlap is an easy way to achieve a rustic-chic wedding. 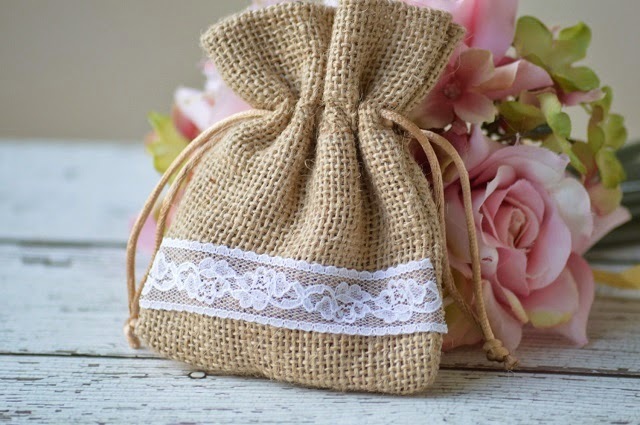 These burlap and lace wedding favor bags are so sweet. Fill them with mints or hard candies for an easy make-ahead DIY favor. Jam or honey favors are also popular for a country wedding. 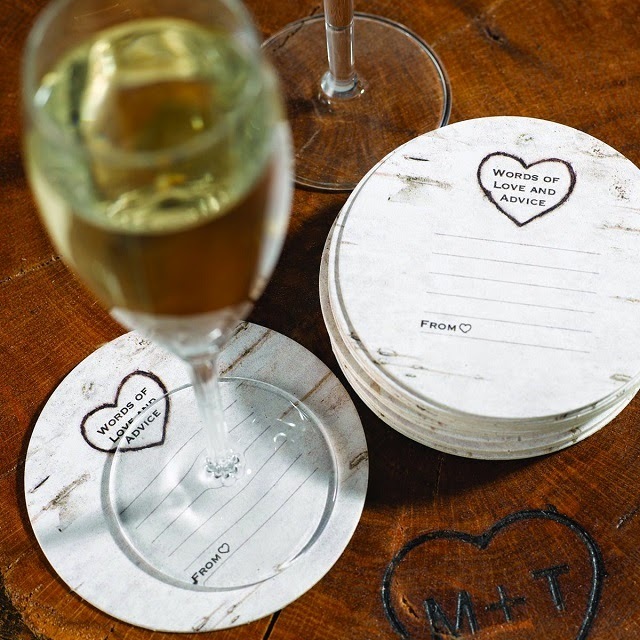 I'm not sure I'd use coasters for a wedding reception, but for a rustic chic rehearsal dinner, these wood grain words of advice coasters are perfect. 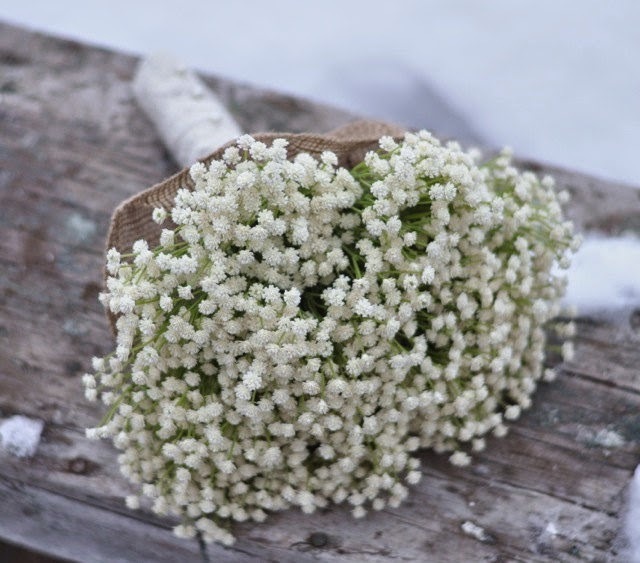 A babys breath bouquet is casual but so beautiful and romantic - perfect for a rustic chic wedding. I love this one wrapped in burlap and lace. 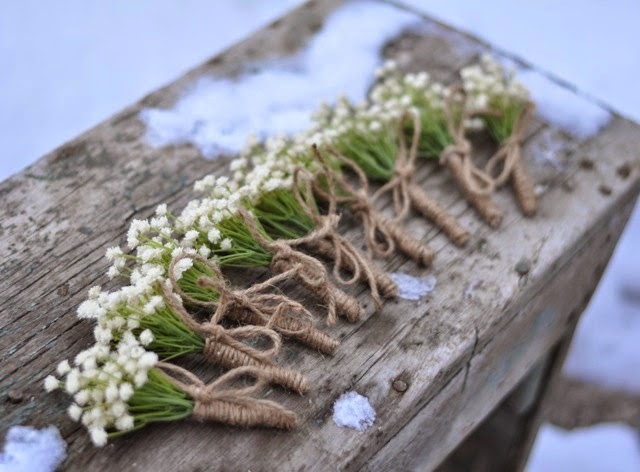 The matching boutonnieres look great wrapped in jute ribbon. A rustic chic wedding is all about pairing natural elements with something romantic - burlap with lace, flowers with twine, and sweet menu items made in a rustic way. Pick a few of the elements like distressed wood and beautiful white flowers and incorporate them repeatedly for an elegant and cohesive look.